Child obesity refers to the state wherein a child’s body contains excess fat that ultimately affects the well-being and health of the child. A child numbers among his obese peers when his weight measures much higher more than it should for his height. Child obesity causes concern for parents since this condition will eventually lead to serious health problems from which adults normally suffer such as high blood pressure, heart ailments or diabetes. 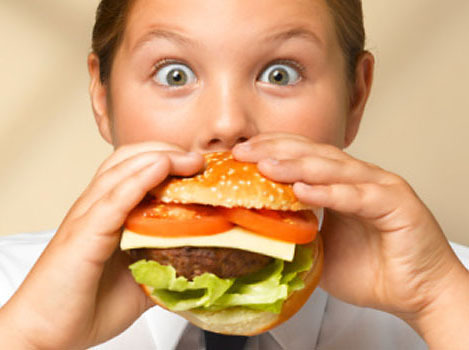 Moreover, obesity can cause emotional and/or psychological issues for your child such as depression or low self-esteem. Today’s rate of obesity among children stands very high. A number of reasons for the progression of this health issue have emerged, among them genetics. Other causes for obesity among children include choices in diet, lifestyle, home environment, illness and the child’s sense of self. 1. Avoid rewarding children with sweets. We often award children for good behavior or academic performance, but we should bear in mind that these rewards should include predominantly healthy options. Do not limit gifts to food; instead, expanded them to worthwhile activities such as taking children to watch their favorite sports team or see a movie. Come up with rewards satisfy but prove educational or entertaining as well. For example, you can reward your child with a new book by her favorite author. Try going for something that interests her and don’t resort by default to the quick fix of giving children sweets whenever they have done something good. 2. Promote recreational activities and school activities for your children to further encourage a sense of belonging and boost their self-esteem. Sports activities offer good diversions for kids, as they promote physical conditioning and values of team spirit, discipline and loyalty. 3. Take initiative in speaking with school administrators about providing healthy food options in the cafeteria or even considering vending machines that dispense fruits, vegetables, fruit juices, water and the like. That way, healthy food options remain available for your child at school as well as home. 4. You should limit your child’s sedentary activities, such as watching TV, playing video games or surfing the Internet. Cut the time the child spends by one hour and allocate that free time to doing something more productive such as helping out with chores at home or playing with friends outside to encourage interaction. 5. Foster the development of positive self-image among children. Focus on the good characteristics of the child and not the negative aspects. Encourage praise for a job well done. Statistically, children with a healthy sense of self avoid obesity and eating disorders more so than those who have low self-esteem or poor self-image. 6. Set an example for healthy living. Serve as the child’s primary inspiration in eating healthy and leading an active life. Make healthy choices as part of your family’s value system. Also, if everyone in your family opts for the healthy lifestyle, health consciousness becomes a family activity.